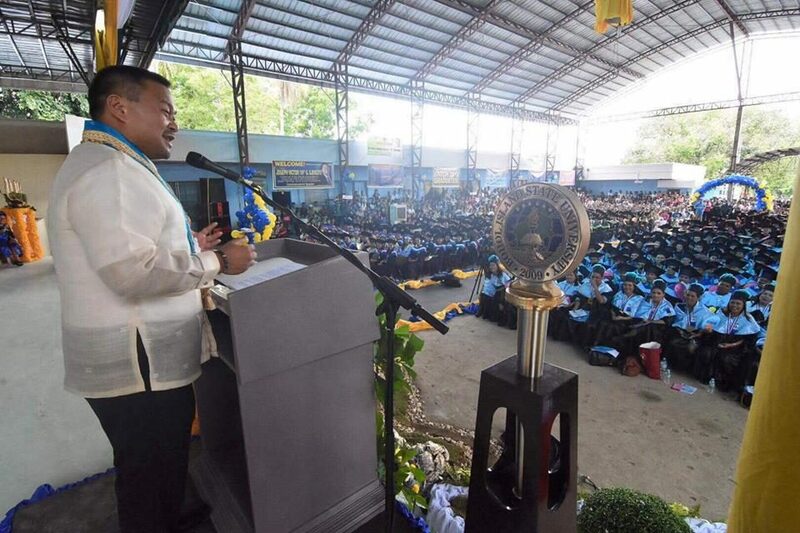 Senator JV Ejercito on Tuesday urged deserving high school graduates and even out-of-school youth to “take advantage” of the free college law. “The ball is now in the court of the students,” Ejercito said as he . welcomed the issuance of the Implementing Rules and Regulations (IRR) to implement the law that grants free tuition to deserving students in government tertiary schools. “We really worked hard to give them this law. They should not waste this chance of making their lives and their families’ better in the future,” he said. 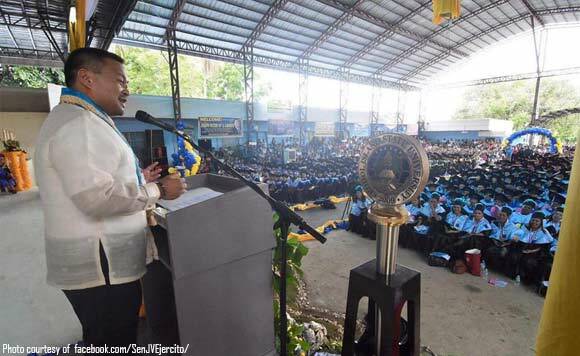 Ejercito, one of the principal authors of Republic Act 10931, or the “Universal Access to Quality Education Act,” also urged the youth to comply with the requirements if they want to avail the benefits of the law until they graduate. 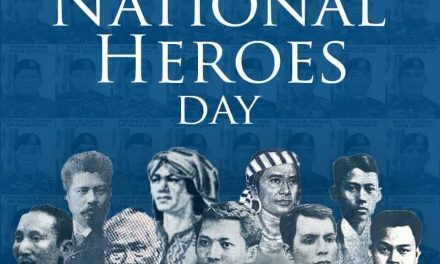 The Commission on Higher Education (CHEd) issued last Monday the IRR to enforce the law, seven months after President Rodrigo Duterte signed the measure in August last year and two months before the start of the incoming school year 2018 to 2019. “Finally, the long wait is over and the freshmen and old students of State Colleges and Universities (SUCs) and Local Universities and Colleges (LUCs) can avail of the free tuition education this coming school year. 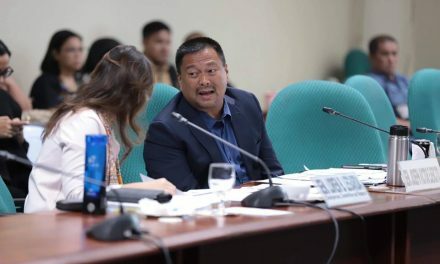 Huli man daw at magaling, naihabol din,” Ejercito said. “My fervent wish to have at least one graduate in every family is about to be realized,” the senator added. The law grants free tuition, miscellaneous, and other fees, to qualified enrollees for college degrees in SUCs and LUCs as well as students of technical-vocational schools. Subsidies can also be availed by students in private tertiary schools.